They say that at the end of every rainbow, you can find a pot of gold. “Where then, is our pot of gold?,” ask the members of the LGBTQA+ community of India, who are still fighting for their basic rights. 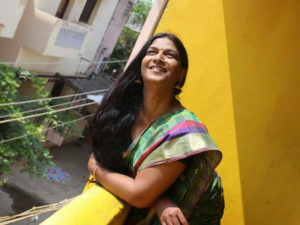 To truly understand their position, we asked Transgender Rights Activist and mentor to Transgender Community Organisations within theAvahan III programme, Priya Babu, to shed some light on the situation. It is evident that social movements surrounding the LGBTQA+ community have gained traction over the last few years. However, despite their attempts to facilitate the integration of nonconformists into mainstream society, stigmatisation and fear are still very real for these communities. One cannot help but question why these emotions are still associated with them, and how this social exclusion affects them both as adults trying to lead normal lives, and as nonconforming children, who not only face societal pressures, but also undergo a great deal of internal conflict in coming to terms with their identities. Speaking specifically about transgenders, Priya Babu strongly believes that the most significant issue is that despite these movements, society is not entirely aware of what it means to be non-binary, and the kind of issues they face, including difficulties in being accepted, finding satisfactory work, finding suitable accommodation, travelling at night, workplace discrimination and harassment etc. 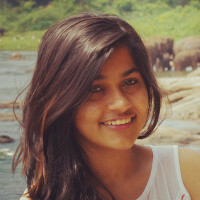 In India, social hierarchy and structure are extremely rigid, and barriers like caste add another dimension to their social exclusion by placing additional filters on them. On the topic of awareness, Priya Babu states that it is important to be proactive because laws and guidelines exist and will continue to be made and moulded – however, nothing will take practical shape unless members of the community themselves take on the onus of familiarising themselves with the legal provisions. Awareness amongst other members is also essential. One would believe that as an active member of the community, May 17th must hold a special significance to her. However, she opines, most people are not even aware of this particular day and what it stands for. More movements like these need to happen in the public eye so that it catches the attention of those in power, those who can actually make a difference to their situation. Media coverage is a crucial tool of social change, especially when it comes to garnering public support. While adults need to focus on being vocal about their needs, children’s needs should not be overlooked. They need special support in terms of protection and assistance, especially at the school level. In conclusion, Priya Babu states that she is optimistic that there will be change. It is a slow and long process, and will take at least ten years to materialise, but she is confident that it will happen. In 2016, the International Day Against Homophobia, Transphobia and Biphobia (or IDAHOT, for short) has been dubbed as the ‘Global Celebration of Sexual and Gender Identities’. What initially began as a day to commemorate the removal of homosexuality from WHO’s roster of mental illnesses, has now grown beyond narrow labels to truly explore and celebrate the diverse and complex facets of gender and sexuality, in a hope to draw the attention of policy makers, institutions and the general public, and to sensitise them to the issues faced by non-binary individuals who challenge heteronormativity. Thirty-seven countries have already recognised basic rights for the LGBTQA+ community, and the movement is growing stronger in several others. While the day, earlier this week, was celebrated with much vigour across the globe, we can’t help but wonder when the rainbow flag will be flying high in Indian skies. We spoke to Transgender Rights Activist and mentor to Trangender Community Organisations within the Avahan III programme, Priya Babu.